Karen Urban | Colorado Mesa Univ. 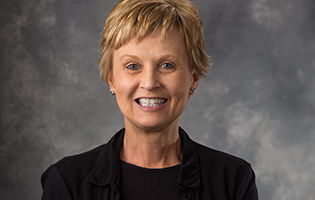 Karen Urban received her Bachelor of Science in Nursing from the University of Pittsburgh as well as her Master of Science in Nursing, and then went on to earn a post-masters certificate in health informatics from the University of Colorado. Urban has been an assistant professor of nursing at Colorado Mesa University since 2009. Urban teaches Fundamentals of Nursing with a lab/clinical in the BSN program. She also teaches Professional Development and occasionally Senior Specialty for the BSN program. Health Informatics is an online course offered as an elective and required for the RN-BSN program. Urban developed the course and is the instructor. The strategies she uses to enhance student engagement in learning include supporting the students by being present and available. Collaboration with other faculty along with mentoring by different levels of students seems to enhance positive student engagement, she said. Urban believes it is important to create opportunities for application of theory to practice in the simulation lab and also in a supervised clinical setting. Additionally, she incorporates immediate feedback and reflective learning in clinical settings. Students in her class have opportunities to collaborate on group projects. Ultimately, Urban believes the student is accountable for their own learning. She supports creating opportunities for developing critical thinking skills and problem-solving by using case studies in the lab and in the clinical setting.